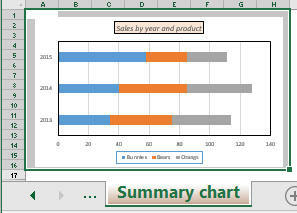 You want to show the table and the chart alongside each other. Crucially, however, when you update any of the source worksheets in any way, the dashboard should automatically reflect these changes (think of it as less like a photograph, and more like a webcam). 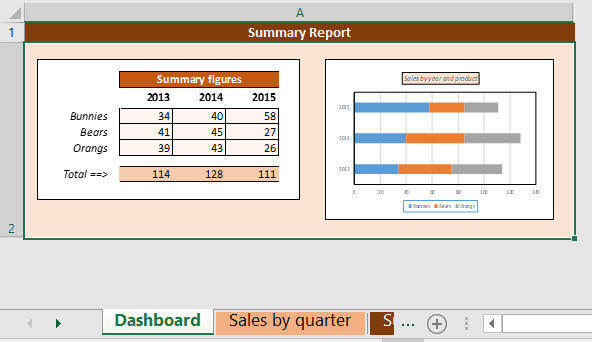 When you double-click on this PowerPoint image, it will take you to the underlying Excel workbook. If you want to try some of the things shown in this blog, you can download the file used. 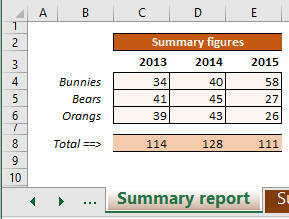 Let's start with copying live images within Excel.